On September 10, 1886, Hilda Doolittle was born in Bethlehem, Pennsylvania to Charles Leander Doolittle and Helen Wolle Doolittle. From her quiet beginnings on Bethlehem’s Church Street, Hilda Doolittle—who would later be known simply by her initials, H.D.—went on to become one of the great innovators of literary modernism. On May 15, 2015, Lehigh University recognized her contributions to the literary world by awarding her a posthumous honorary Doctor of Letters. With that conferral, a child who had begun her life in the shadows of what was then an all-male institution assumed a permanent place in this university’s history. Throughout a remarkably long career that spanned five decades, H.D.’s creativity found many forms of expression. She was, first and perhaps most famously, a poet, but she was also a highly accomplished memoirist, novelist, film critic, and even, at times, an actress. Though relatively few of her 75 years were spent living in Bethlehem, her poems, novels, and memoirs reveal the profound influence that this community—and her Moravian heritage—had on her. H.D. moved away from Bethlehem at age 9, and she rarely returned in person. But in spirit—in the realm of imagination—she returned to her first home time and again. 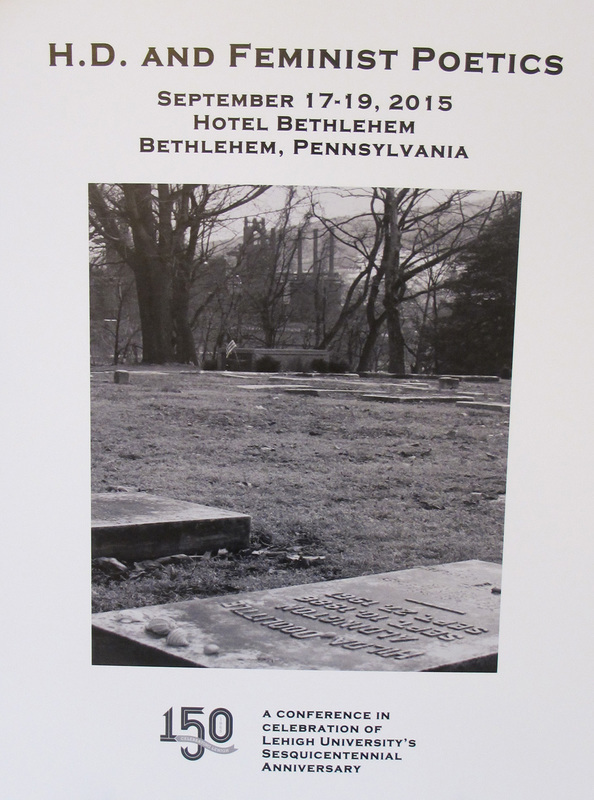 By highlighting Hilda Doolittle’s strong ties to Lehigh University through her father and half-brothers, as well as her even stronger ties to the town of Bethlehem through her Moravian mother, this exhibit tells the story of H.D.’s ongoing, imaginative return to her birthplace through her literature. As H.D. brought her feminist consciousness to bear on some of her, and modernity’s, most pressing concerns—including the possibilities for women’s full emancipation, the meaning of religion in women’s lives, the question of her own bisexuality, and the problem of how to respond to the catastrophic violence of two world wars—she revisited her personal history as she sought ways to heal her own injuries and those of a whole culture. Despite H.D.’s status as a celebrated literary figure during her lifetime, she fell into obscurity after her death. Beginning in the late 1970s, feminist scholars initiated the project of H.D.’s recovery, and thanks to their ongoing labor, literary critics now recognize H.D.’s central place in the Western literary canon. In September 2015, many of these scholars will visit Bethlehem for a conference on the theme “H.D. and Feminist Poetics.” Lehigh University is hosting this conference in celebration of its sesquicentennial anniversary.